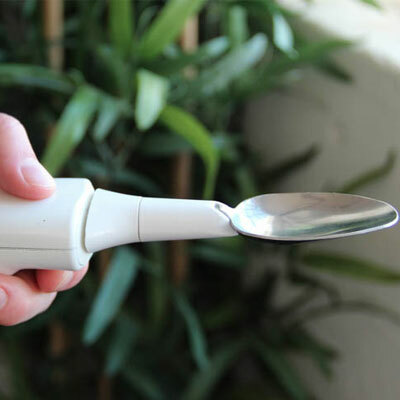 In September of 2013, Lift Lab released the Liftware Spoon. The company claims it can reduce the effect of shaking in hands by up to 76 percent, which can help aid those suffering from conditions causing body tremors, including Parkinson’s and Essential Tremor Syndrome. Lift lab has been bought by Google in September, and they have decided to fund the Liftware Spoon. Since which time they have also played a part in its development. The spoon keeps balanced through calculations made by hundred of complex algorithms, which are designed to sense how exactly the hand is moving and make adjustments accordingly to keep the spoon stable. “We want to help people in their daily lives today and hopefully increase understanding of disease in the long run,” Google spokesperson Katelin Jabbari said. Over 10 million people are suffering from Parkinson’s and Essential Tremor disorder in the world. This includes the Google co-founder Sergey Brin’s mother. The spoon is hoped to provide some relief to these people in problems they may face. This marvelous invention has already benefited sufferers. Shirin Vala, 65, suffers from Essential Tremor Syndrome for the past ten years. She purchased the spoon only last year and has felt that it has made a tremendous impact in her daily life. Google’s investment in the Liftware spoon marks the company’s expansion of research activities in the life science technology sector. Google X, the research wing of Google, has also recently invested in the development of smart contact lenses for diabetics. Another projects looks into how nanoparticles can be examined for early detection of diseases.